It’s like a painting. Marvellous! Gorgeous, gorgeous, gorgeous! Now I am ready to pop myself in the picture!!! A beautiful composition. I love the white swan against the varying shades of green background. The picture appears to be composed entirely of different shades of green. 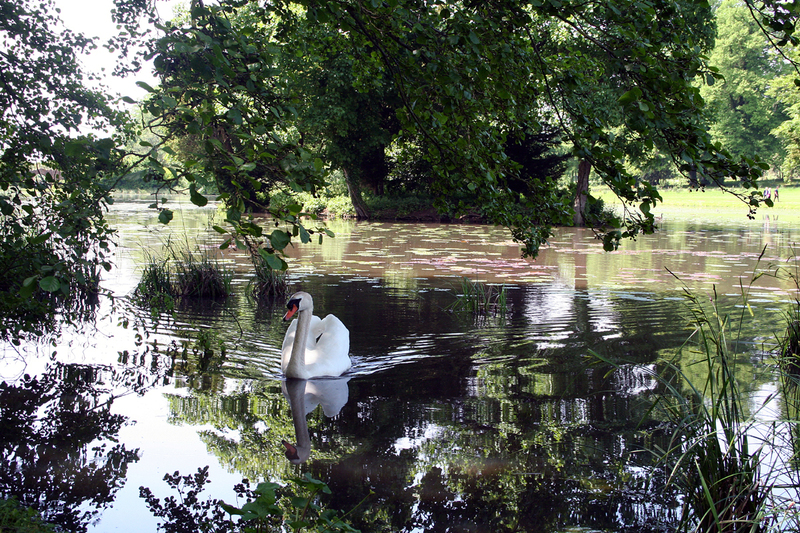 But there is something missing – where is this swan’s companion? Is it a lonesome swan, looking for a mate? Serene, despite the riot of green! Well captured! Ah, but Saeeda, what if the swan is male, study it’s gaze, it just might be returning to the love of his life, as she anxiously awaits, upon their woven nest, warming the fruit of their love. It doesn’t get any lovelier than this.